Driving through the Alps of Austria and Italy was nothing short of spectacular. We made it to Italy in just four hours, drove through the beautiful mountain town of Bolzano and then on to our destination: Lake Garda. My sister had never been to Italy, and while I studied abroad there in college and have visited since, I always get so excited to be in Italy. I think it may be one of my favorite places in the world. The people, the food, the wine, the way Italians speak like it's a song, the general lifestyle...I love it all. 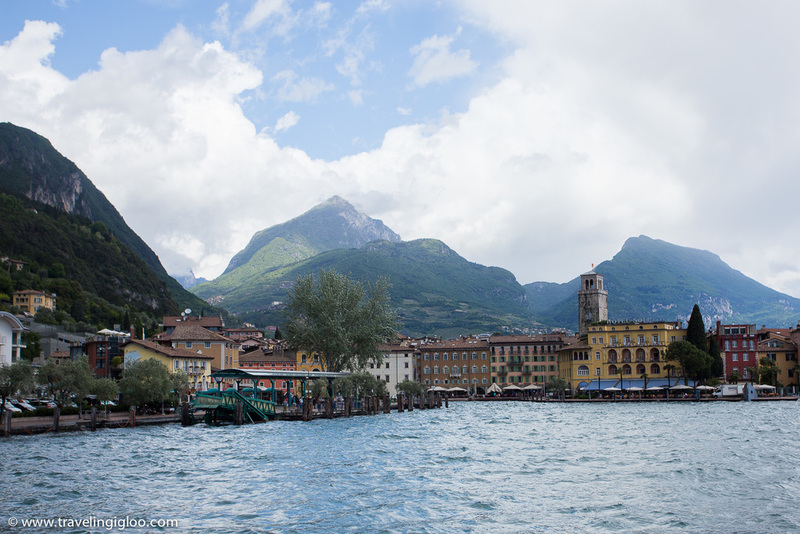 We drove in to Riva del Garda to stay for a few days to check out the lake, the towns surrounding, and eat some good Italian food! I've been to Lake Constance, the Achensee and some other lakes in the area but I think Lake Garda is my favorite so far. Maybe it's because it's in Italy, or maybe because there are so many outdoor activities to do. I'm not sure, but either way I cannot wait to go back! Lake Garda sits in the Northern Italian Alps between Milan and Venice. It is the largest lake in Italy at 51km long and only 17km at it's widest. There are towns all around the lake with castles and cobblestone streets. The lake is also famous for outdoor activities such as windsurfing, sailing, cycling, mountain biking, and hiking among others. The lake is pristine and a stunning sight to take in. We weren't able to make it to all the towns we wanted to visit but we still managed to see enough that we were able to get a good taste of the area. Out of everywhere I've been in Italy, I have to say that Lake Garda is one of the cleanest and nicest Italians places I had ever seen! I think they may have some influence from their Northern friends because it wasn't like the normal Italy I remember. Most of the larger towns have a ferry that goes to many of the other towns. If you are in the North (like we were) and want to go to the Southern end of the lake, then be sure to leave early in the morning. The ferries aren't the fastest and after around 12pm they don't go down to the Southern points. Riva del Garda has a tourist office in the center of town with plenty of information about everything from activities to using the ferries. There is also a pedestrian walking area with shops and restaurants, and some restaurants and bars sit along the waterfront. It's not a huge area, but it's big enough for a day or two. Even though we stayed in Riva del Garda and it was really nice, if I were to do it again I would stay in Malcesine next time. Malcesine had all these small windy cobblestone streets, and was a bit more lively (in my opinion anyway) than Riva del Garda. 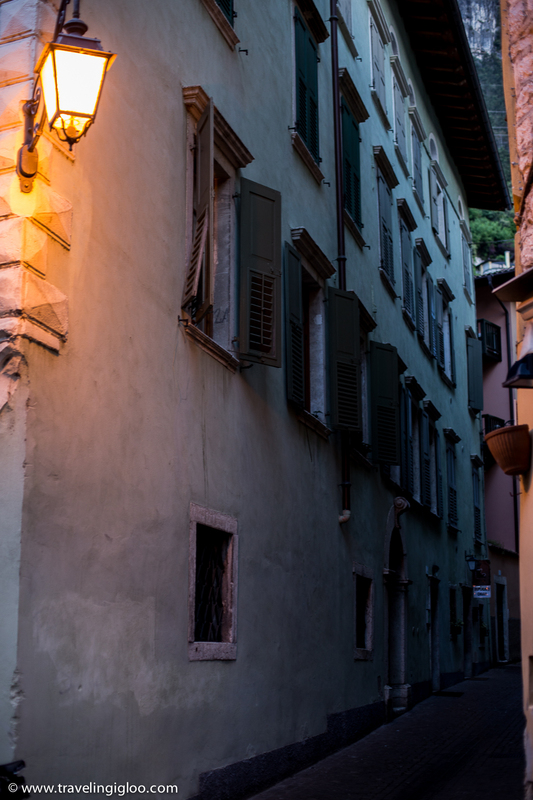 I think it also had more character than Riva del Garda too. As you can see below, we were at the Northernmost town of Riva del Garda. A little further down sat Malcesine and Limone, two of the other towns we visitied. I've heard Sirmione and Bardolino further south are great too, and would love to check them out next time I go! 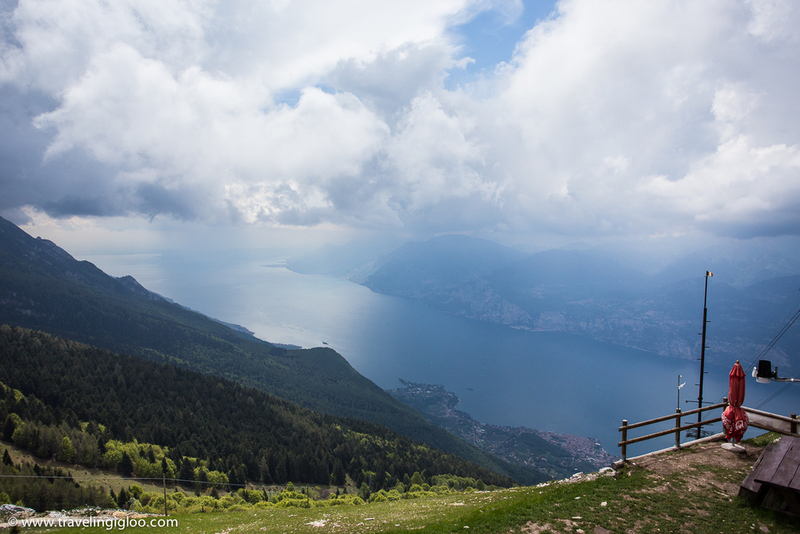 Also in Malcesine is the giant cable car that goes up high to the top of Monte Baldo. It's a great view of the lake and the mountains behind Lake Garda. Mountain bikers can take the cable car to the top and ride the trails down. The cable car spins for part of the ride as well so you can get views of the entire area (as long as you're not stuck in the middle of it! It gets a bit crowded). I always promise myself I'll take photos of the food....then I always forget because I'm so hungry and only remember afterward. So! These will have to do. I did take one photo of an appetizer we got one night called carpaccio. It's a simple dish but I love it. It's raw beef in very thin slices with some olive oil, lemon, rucola and parmesan cheese on top. It's delicious! Many Europeans countries have a lot of American flag apparel for sale. I noticed it more so in Italy than in Germany. 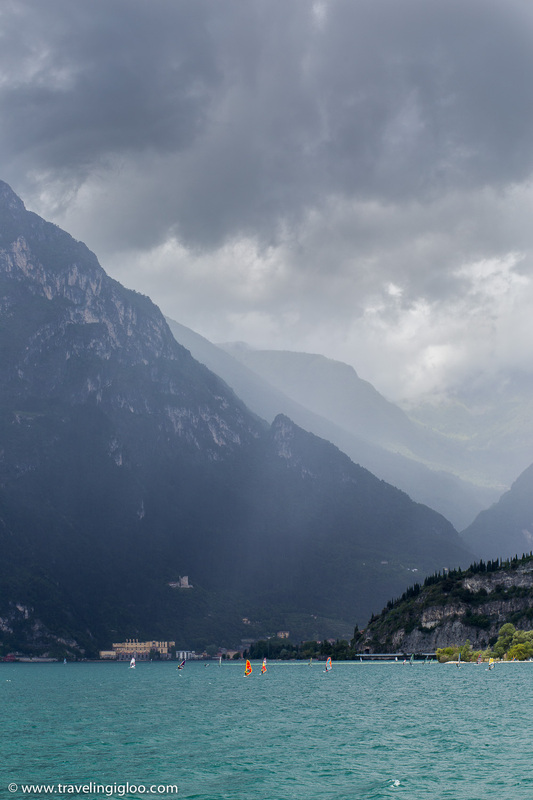 To see all my photos from Lake Garda Click Here!